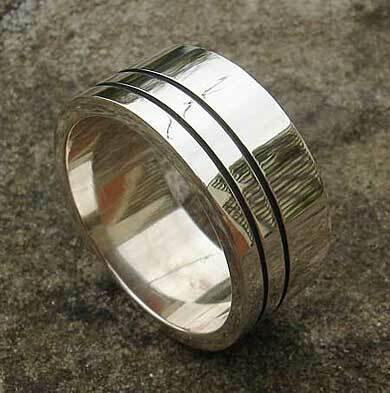 Modern Silver Wedding Ring : LOVE2HAVE in the UK! 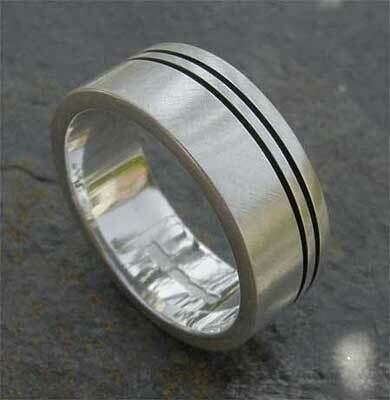 This UK made silver wedding ring is what we would describe as a super clean cut appearance. It has a slick modern design very suitable for a man looking for something understated but classy. The profiling is flat, and the finish is very highly polished or matt. We think the polished version looks the best of the two. 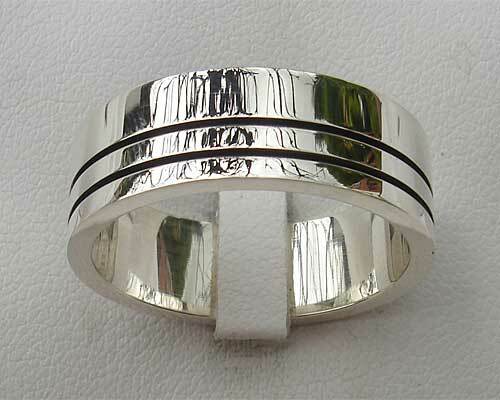 It features two black grooved lines that sit off centre towards one of the rings edges. The widths available are 6mm, 8mm or 10mm so most men should find it will suit them whatever their finger size.